When John Francis Mercer arrived late at the Constitutional Convention on 6 Aug 1787, he was only twenty-eight years old—the second youngest man there. But he wasn’t shy about speaking up. 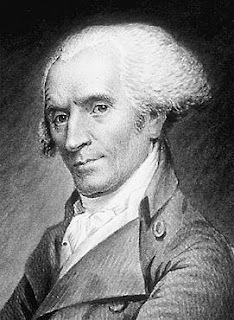 This Teaching American History profile says Mercer attended the convention until 16 August, but Madison recorded him speaking the following day as well. That was his last documented contribution to the debate. But did he stick around silently (or silently enough for Madison not to quote him)? Mr. MASON introduced the subject of regulating the militia. He thought such a power necessary to be given to the General Government. He hoped there would be no standing army in time of peace, unless it might be for a few garrisons. The militia ought, therefore, to be the more effectually prepared for the public defence. . . .
Mr. GERRY took notice that there was no check here against standing armies in time of peace. The existing Congress is so constructed that it cannot of itself maintain an army. This would not be the case under the new system. The people were jealous on this head, and great opposition to the plan would spring from such an omission. He suspected that preparations of force were now making against it. [He seemed to allude to the activity of the Governor of New York at this crisis in disciplining the militia of that State.] He thought an army dangerous in time of peace, and could never consent to a power to keep up an indefinite number. He proposed that there should not be kept up in time of peace more than — thousand troops. His idea was, that the blank should be filled with two or three thousand. General [Charles Cotesworth] PINCKNEY asked, whether no troops were ever to be raised until an attack should be made on us? Mr. GERRY. If there be no restriction, a few States may establish a military government. Mr. [Hugh] WILLIAMSON reminded him of Mr. MASON’S motion for limiting the appropriation of revenue as the best guard in this case. Mr. [John] LANGDON saw no room for Mr. GERRY’S distrust of the representatives of the people. Mr. [Jonathan] DAYTON. Preparations for war are generally made in time of peace; and a standing force of some sort may, for aught we know, become unavoidable. He should object to no restrictions consistent with these ideas. The motion of Mr. MARTIN and Mr. GERRY was disagreed to, nem. con. “Nem. con.” meant that motion to limit the army was voted down unanimously. Was John F. Mercer even present that day? As I said above, Mercer doesn’t appear in Madison’s notes after 17 August, and he left the convention sometime before its end because he disagreed with its goal. But the anecdote about Washington’s whisper, if we believe it, hints that Mercer was still present on 18 August. Dr. James McHenry, another Maryland delegate Washington may have addressed so frankly, definitely was present on 18 August. He wrote brief notes on the discussion. McHenry didn’t record anything about the size of the standing army, however. That might have been because he mostly wrote down when the convention agreed to amend its draft, not when it decided not to. Either way, there was a moment when the Constitutional Convention discussed the possibility of a numerical limit on the size of the U.S. Army. And the anecdote about Washington’s whisper described that moment almost two decades before Madison’s notes were published. TOMORROW: John F. Mercer’s objections.